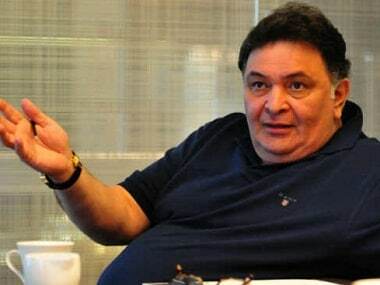 It is no news that Bollywood veteran Rishi Kapoor is opinionated. Ever since he has become a part of social media, Kapoor has been at the center-stage of buzz with his remarks. This time, while he was on a podcast with Neha Dhupia (in No Filter Neha), Kapoor voiced his displeasure on the two Anurags, who he thinks have caused a stir in his son Ranbir Kapoor's film career, as per a report by News 18. "Anurag? There is Anurag Kashyap, who made Bombay Velvet, but he made a better film in Gangs Of Wasseypur, I couldn’t understand head or tail of Bombay Velvet. And then there was Basu who made Barfi an outstanding film. I am so happy he took my son for it. My son got great recognition for the film and then he made this Gajja Jasoos..what Jagga Jasoos whatever.. which he made a total mess of. It was as messy as my pronunciation was. He probably got indulged too much. I guess both the Anurags got indulged in their films," he said. TThe actor then said that the two directors had too much on their platter and that caused the problem. "You know when they are good enough to work on the certain budget and suddenly they are given huge budgets in hand so bandar ke haath mein khilona nahin aa jaata hai, he goes absolutely berserk. So I think that’s what actually happened with both these guys. They were given budgets they could not handle and I guess it happens. 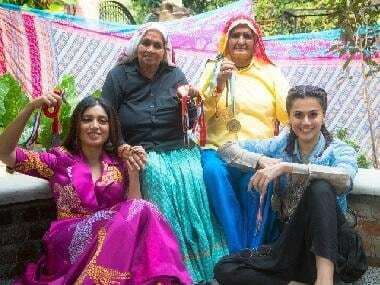 It happens with every director, every actor you can’t have a hundred percent record anyway…So it happens," said Kapoor. However, this isn't the first time Kapoor took potshots on these two directors. Just after the release of Jagga Jasoos, Kapoor had expressed his utter disappointment with the director Anurag Basu and held him responsible.